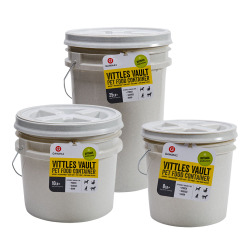 Vittles Vault® Containers Category | Vittles Vault® & STACKable Containers | U.S. Plastic Corp. 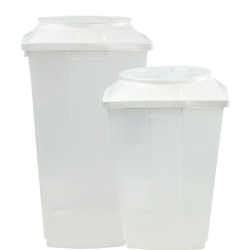 The first, absolutely airtight storage container for dry pet foods. 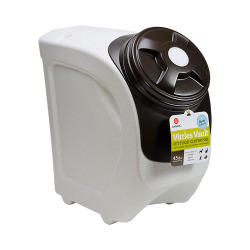 No more bulky, awkward bags exposing food to air, excessive moisture & pests (ants!). 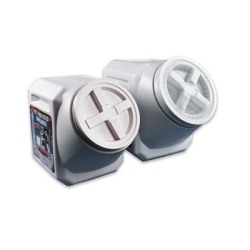 With a spin of the patented lid, the Vittles Vault locks in freshness and flavor. Great for natural foods that are nutrient rich and preservative free. 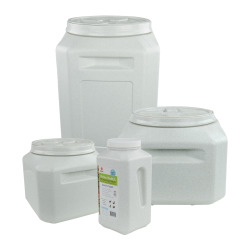 Made of food grade, high-impact resistant plastic. Let your pets get the most from the meal! Airtight and leakproof.